The house became part of Greenwood Farm, an early 20th Century summer retreat for the Robert G. Dodge family, and sits on the same property as the 1694 Paine-Dodge house, owned by the Trustees of Reservations. Three generations of the Paine family made their home on this saltwater farm, including Robert Paine, foreman of the Salem witch trial jury in 1692. From 1916, Greenwood Farm was a summer retreat for the Robert G. Dodge family, who used the Paine House as a guesthouse. 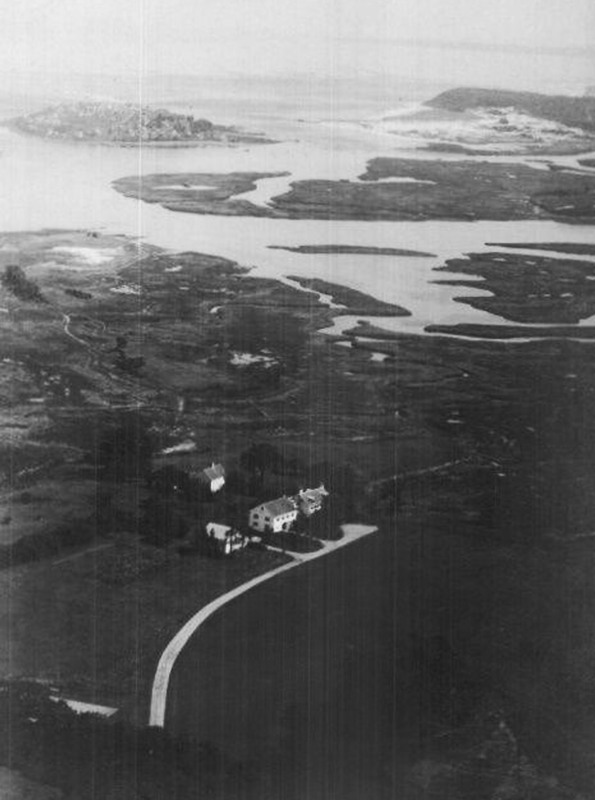 An aerial photo believed to have been taken in 1920 shows Greenwood Farm, with the Payne house behind it. In the distance is Treadwell Island, Little Neck, and Steep Hill.